Philip A. Berry serves as the Chief Human Resources Officer responsible for strategies to attract, develop and retain talent for our global initiatives. 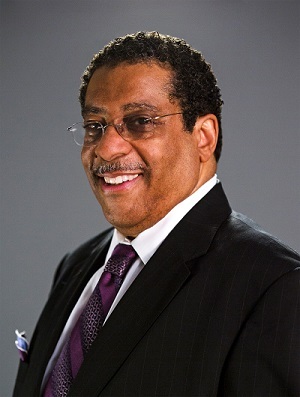 Prior to this he was the President of Philip Berry Associates LLC, a management consulting firm which focuses on executive coaching, global talent development, and organizational effectiveness. Philip has lived abroad and worked in over 60 countries and gained extensive experience in leadership development and human capital improvement strategies on a global level. As the former Vice President of Global Workplace Initiatives and Corporate Officer for Colgate-Palmolive, Philip led the company’s efforts to attract, develop and retain a diverse workforce. He was also the Global VP for Employee Relations & Best Place to Work. In prior senior HR roles, he served the Central Europe/Russia, Africa/Middle East, Latin America, and Asia and lived in Paris as VP for HR Europe. Prior to joining Colgate-Palmolive, Philip acquired HR expertise at Procter & Gamble. He also worked at Digital Equipment and the Triborough Bridge and Tunnel Authority as Vice President of Human Resources. Philip received his MBA from Xavier University, his M.S.W from Columbia University and his B.A. in Sociology from Queens College and A.A. in Marketing from Manhattan Community College.